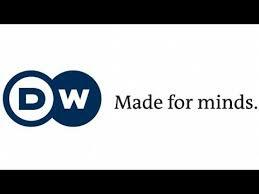 This article first appeared on dw.de. 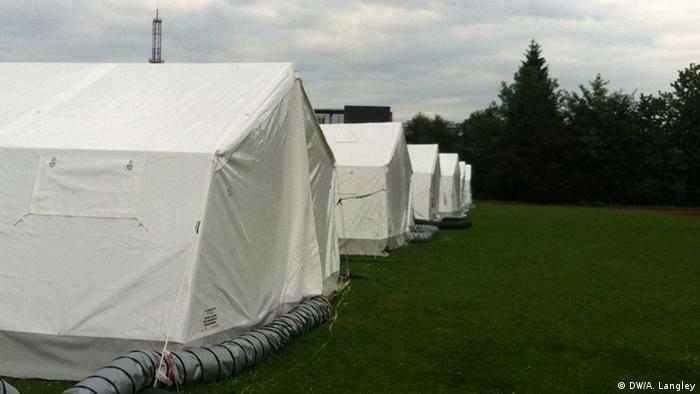 Austria has begun housing refugees in tents. The government says it’s a last resort to deal with the greater influx of people seeking refuge. 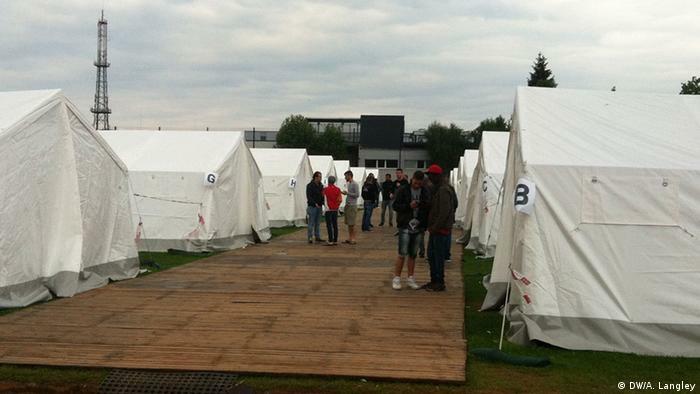 Alison Langley reports from a tent city in Linz. Iranian Ebrahim Vasei reached Austria via Bulgaria, after spending 17 days en route as a hostage in Serbia by smugglers who demanded he pay ransom. Gambian Sara Touray, 29, paid smugglers in Libya, who abandoned the boat just as it reached Italy. 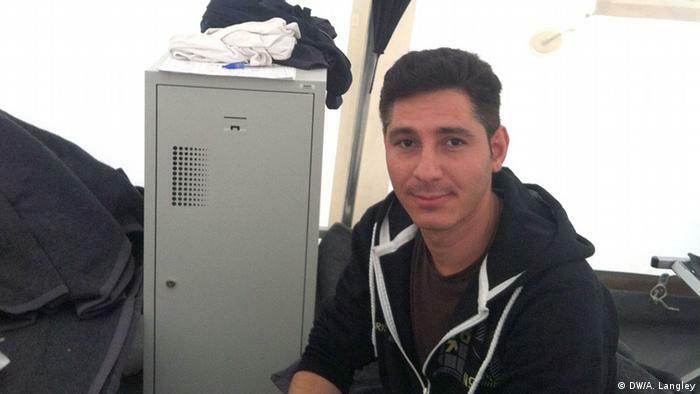 Afghani Amir Hossain, 22, walked to Austria via Turkey, Bulgaria, Serbia and Hungary. He has blisters and sores on his feet. Fadi Fakahani is newly arrived from Damascus, having fled pretty much the same route as Hossain. He left after fighting between the “Islamic State” and government troops got too heavy. It’s a surreal scene in Linz. While young Austrian teens jog confidently around clay lanes apparently oblivious to the sporadic drizzle, more than 100 refugees huddle under dark blue blankets in the tents, listening to the drone of generators fueling space heaters. A group of men who first arrived in Linz’s tent city a week ago have been moved to a gym to make room for the latest arrivals. Vasei, too, says he is not complaining. “Sometimes there is no choice,” The 30-year old says. He still smiles. Although his throat hurts and he has developed a cough since he arrived three days ago, he is reluctant to complain because he doesn’t want to create a fuss. He wants to stay in Austria. Although it is one of Europe’s wealthiest countries and has the third-lowest unemployment rate in the European Union, Austria’s ruling coalition has decided to house the world’s most vulnerable people in tents during one of the coldest and wettest springs in memory. This is an election year in Austria and opposition parties charge that Interior Minister Johanna Mikl-Leitner is playing politics with lives. Mikl-Leitner says she has no choice: The country has run out of room, and state and local officials are too slow to open up more space, she says. More than 10,000 people filed for asylum in the first three months of this year, up 150 percent from the same period as last year. That storm has turned into a flood. In the last month, nearly 300 people per week sought refuge in the country. Vasei and the others were first taken to a processing center in Traiskirchen, less than a half hour’s drive from Vienna. The intake center was so full they slept on the floor. During the day, they had to pace about – in spite of blisters – because there were no chairs available to sit in. Three days ago, a busload of newcomers were driven to the sports field. None were told where they were going. They were shocked when they saw the tents. “In Libya I slept in a room,” Touray said. Touray sits at the edge of his cot. Barely a meter separates him from the small bed on the other side of him. Beneath his feet is a light grey plastic tarp that still smells of new PVC. At the head of his bed is a short narrow locker, into which the men place all their belongings. The men – all the people living in the tents are single males – with beds in the corners are the lucky ones. They can hang their wet clothes on small rope loops that really are part of the tent. A spool of electrical outlets is parked not far from the space heater between the row of four beds. Eight beds per tent. The men used to be strangers; they don’t speak a common language, but they share a common fate. Touray plugs in his mobile phone in the outlet. He and Hossain are among the few men in the room with mobile phones. Hossain shows photos of his parents to a visitor. While others are talking, he continues to stare at the screen. The small grey locker is easily big enough to hold Vasei’s possessions. In addition to an extra T-shirt folded on the bottom, a white hand towel hangs from the top. Next to it are his toiletries kept in a flimsy white grocery bag. He pulls out another plastic bag and shows off his dinner – two bread rolls, some cold cuts and an apple – which he received as he was leaving lunch. This way, the camp administrators don’t have to serve three meals. Vasei is hesitant to complain, although he agrees with the others that the two toilets serving the 140 men are disgusting. Three days ago when he arrived, it was hard because he didn’t know where anything was. The toilets, for instance, are across the tracks in a police administration building, up the stairs and down a hall. It was pouring rain the day he got there, so someone gave him an umbrella. It now hangs above his bed. As he talks to a visitor, more men walk into the tent. Hardly any speak German or English, but all want to tell the visitor their story; they ask Vasei to translate. 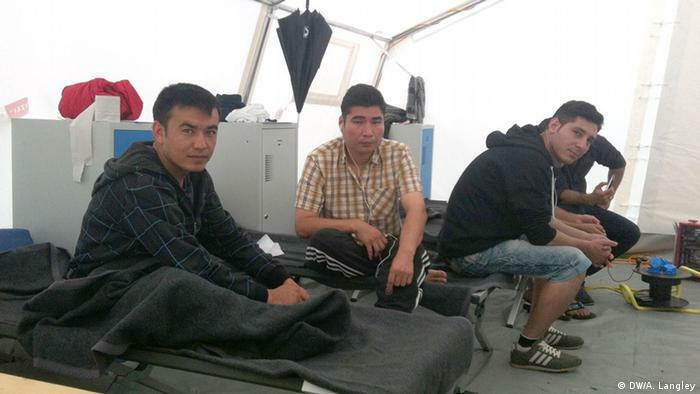 They each want someone to listen to their plight; to help them stay in Austria. More than one pull off their shoes and socks to show off blisters and layers of skin missing from heels. Vasei is no different; he wants desperately to stay in Austria and asks a visitor to tell his story. Maybe, he says, it will help him stay here. To go back to Iran, he says, would mean going back to a death sentence. He took part in anti-government protests; was arrested after one. When he got out of jail, he fled. Vasei’s story cannot be independently verified. But he talks with sincerity as he admits that he fled to Austria after his asylum request had been turned down in Bulgaria. During his two-year stay there, Vasei says he converted to Christianity, yet another reason to stay away from Iran. Only a few days before he was to be deported, the young man bolted. He walked through dense forests into Serbia, he says, where he says smugglers, who hoped by capturing him they could extract a ransom, duped him, stole his money, his phone and clothes. He eventually hiked his way through Hungary and into Austria. Half-starved and exhausted, he knocked on the first house he found and asked the family to call the police, so he could turn himself in. “Explaining is easy, but living through it is horrible,” Vasei says. Austrian officials are nicer than the Bulgarians, he adds. In Bulgaria he was beaten once, he says. Police here are polite. The boredom of the tents is numbing. The men own nothing. They are not allowed to work. Most don’t speak a second language. There isn’t much to do with the 40 euros ($44) per month they are given. Mohammad Davoud Jabari, an Afghani whose left hand was mangled by a grenade, writes Arabic words under a worksheet of German nouns. The Austrian aid workers don’t teach German, but they do hand out worksheets to anyone who asks. Afghani Hossain pulled out an official green piece of paper and asked the visitor to help him. The paper is an official request for Hossain to appear in a meeting on that day in Traiskirchen, but the 22-year-old is in Linz, two hours away. What was going to happen to him? The tents appear to disquiet the men because they are clearly temporary accommodation. Did being sent to a tent mean they were going to be deported, they asked? No one, say Vasei, Hossain and the others, was around to tell them. So they spend their days worrying about their fate, wondering if they will be sent back. “Really, I’m scared,” Vasei says.